Protesters continue to call out the hypocrisy of Mayor Bowser's claiming DC is a "sanctuary city" even as ICE carried out recent raids in DC's Columbia Heights - evidently with the cooperation of local police. 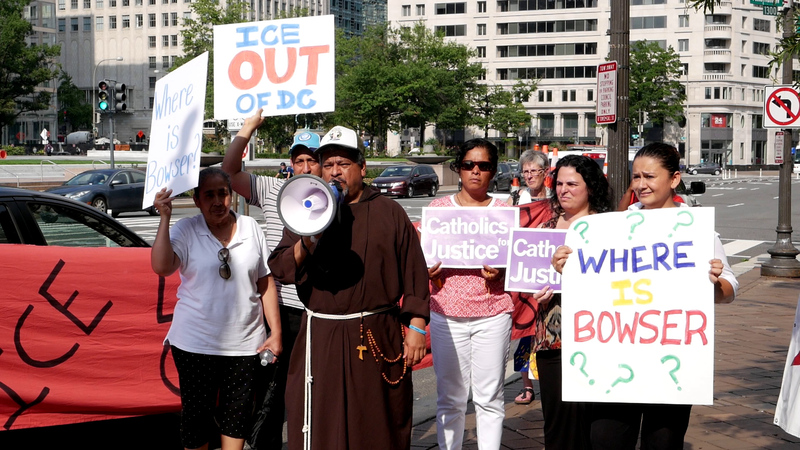 Activists demand immediate action from Mayor Bowser to protect immigrants and to denounce the recent ICE raids. Father Moises and parishioners from Sacred Heart Church across the street from where 9 individuals were taken by ICE.